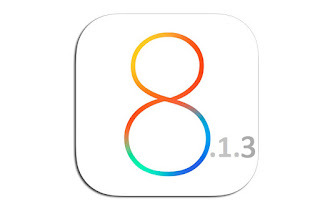 Jailbreak for iOS 8.1.3 - iOS 8.4 Released by Taig Team.Official Download Here. The jailbreak supports all devices on iOS 8.1.3 - iOS 8.4 and can be installed via an updated 2.0.0 jailbreak utility that is currently available for Windows only. The new 2.2.0 version of the utility can be downloaded from Here. 6. TaiG Jailbreak V2.2.0 supports iOS 8.1.3-iOS 8.4 untethered jailbreak. Currently iOS 8.4 is relatively stable. So we strongly recommend you to update your device to iOS 8.4 with TaiG Pro before jailbreak. There is an issue where the TaiG jailbreak of iOS 8.3 can get stuck at 20%. If you've waited for a while and/or receive an error -1101, you may have to follow these steps. To resolve this issue you must install iTunes 12.0.1. I suggest that you cleanly remove the current version of iTunes on your PC. You can do this by following these steps. Reboot, then download and install iTunes 12.0.1 (64 bit) from Here. or iTunes 12.0.1 (32 bit) from here. Once you've installed iTunes 12.0.1 be sure not to update it when prompted, then run TaiG. I Hope that your problem will be solved. The new 2.1.2 version of the utility released. - Fixes problems of getting stuck at 20% and 60%, and adapted for latest iTunes. - Compatible with Cydia Substrate(Mobile Substrate). - Corrects the blank Settings problem while matching Apple Watch with iDevice. - Fix issues of UIcache. You can find instructions on how to jailbreak your device in the tutorials linked below. At this point in time, the jailbreak utility has only been released for Windows. The new 2.1.3 version of the utility released. TaiG Jailbreak Tool V2.1.3 fixes the issue of getting stuck at 20% while jailbreaking, integrates the latest Cydia 1.1.18 and UIKitTools 1.1.1.0, and fixes the icon missing issue. 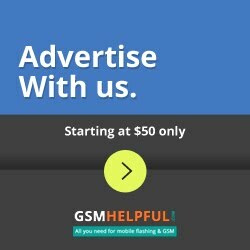 - Fix the issue of getting stuck at 20% while jailbreaking. - Update the latest Cydia 1.1.18 and UIKitTools 1.1.1.0; fix the issue of icon missing after jailbreak. - Fix long startup time of iPhone 4s after jailbreak. - Fix the issue that TaiG Jailbreak Tool doesn't work on the virtual machine. TaiG has officially released a jailbreak of iOS 8.4 just hours after the firmware was released by Apple. You can download the latest version of TaiG from Here.